Technology is infiltrating more and more household items, Samsung’s new smart refrigeration with its built in sound system may be a glimpse of where things are heading but just how much tech can you cram into…say…your toothbrush? Well that’s what Oral-B have seemingly attempted to do with their new Oral-B GENIUS 9000. Does it live up to its name, I mean how clever could a mere toothbrush be? More brain power than Einstein perhaps? OK, perhaps not but it’s really rather cool nonetheless. 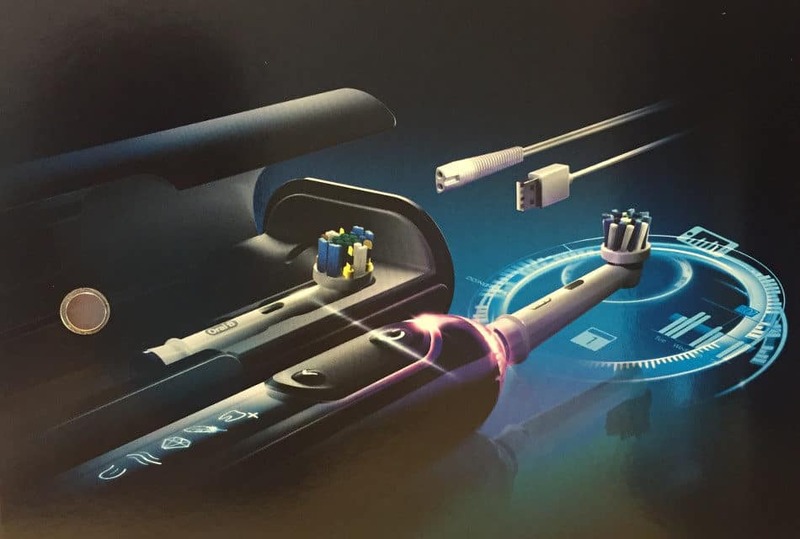 Jumping right in, this toothbrush connects to your smartphone via Bluetooth and the Oral-B app (available for both iOS and Andriod). Once connected it’ll log your daily brushing time and if you applied too much pressure. It’ll store this information for 30 uses so you don’t have to connect it to the app every time. Also included in the box is a sleek travel case and travel charger which can also charge another device (such as your smartphone) via USB cable. However, using the app whilst brushing takes this brush to a whole new level. Attach the phone holder to your bathroom mirror and , using position detection technology, the app will show you in real time where you’ve brushed and for how long. Thus ensuring all areas of your mouth get squeaky clean. If your the forgetful type, record your next dental appointment in the app and set it to remind you to floss and use mouthwash after brushing. 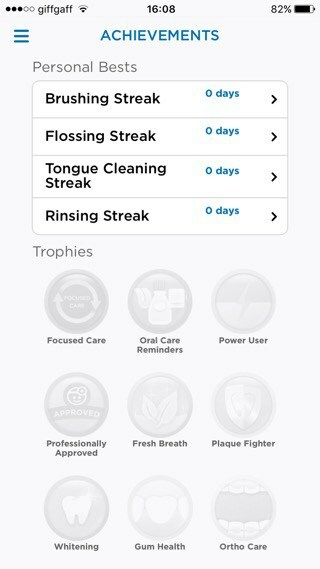 As you log your daily oral hygiene habits in the app, you will begin to unlock achievement badges. Work towards a 365 day flossing streak, maybe? Or how about earning yourself the plaque fighter badge? Overall it’s a brilliant toothbrush with several functions such as daily clean, whitening, built in timer, sensitive clean and more. 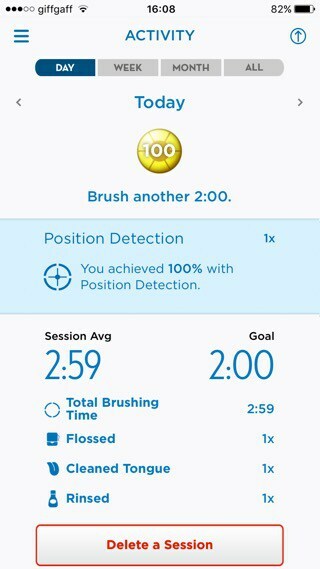 It performs well both with and without the app, my teeth feel incredibly clean and look whiter. 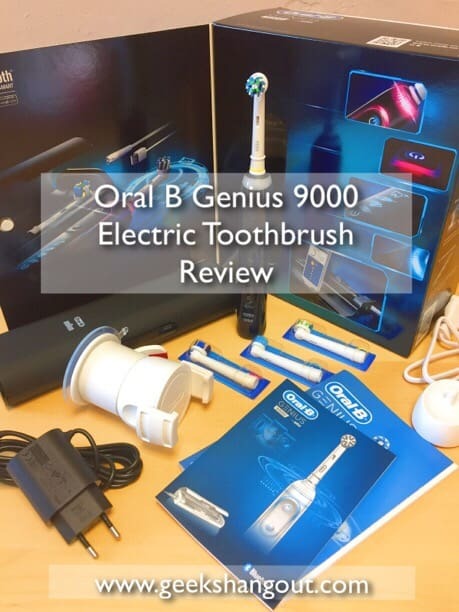 All this comes at a cost, the Oral B Genius 9000 retails at £280 which is incredibly pricey for an electric toothbrush. If you’re looking for a new toothbrush, want the latest technology and have the cash to spare then I would recommend this one. Though maybe wait for price reductions and offers to get the best deal. PreviousBinary Blitz Android App – Become a subnetting Jedi and have fun at the same time!